The Sports Archives – Travelling To The Solheim Cup In Germany? Here’s Everything You Need To Know! As with the Ryder Cup, each year the two teams – Europe and USA – take turns to host the event. 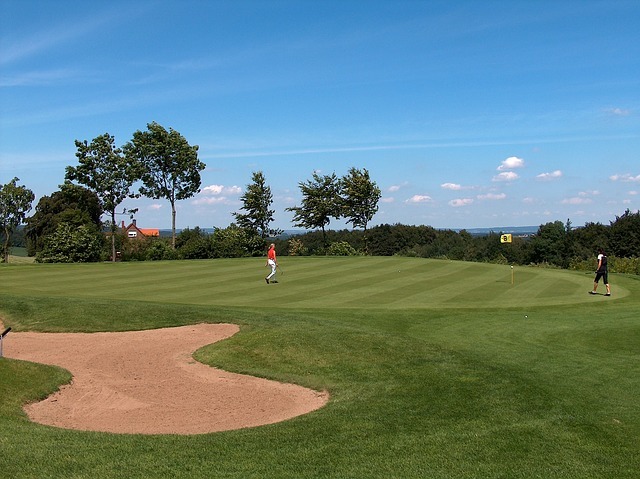 This year is Europe’s turn and the fabulous St Leon-Rot Golf Club in Germany has been chosen as the venue. This is the first time that Germany has hosted the Solheim Cup and Europe are looking to retain the trophy and set a new record of three consecutive wins. If the golf is as beautiful as the scenery surrounding the course spectators are in for a real treat. The format adopted for the Solheim Cup varies a little from the regular stroke play that many spectators may be accustomed to. Each match is worth a single point and the players will battle it out for a share of a total of 28 points. In order to be crowned champions, one team must accumulate at least 14.5 points. Friday and Saturday mornings see the selected players battle it out in foursome matches. Foursomes are made up of two players from each team and those two players must play the same ball alternately. The team that has the best score wins the hole. Those chosen to represent their teams in the afternoon will play a four-ball format. This is slightly different to foursomes as each player plays their own ball and the player with the lowest score wins the hole for their team. Sunday brings about the nail-biting climax where all twelve players compete against a member of the opposition in head-to-head singles matches. Smart, casual wear is recommended but spectators are reminded that spiked footwear is not allowed on the course. Cameras are allowed on practice days but in order to give the players a fair chance to concentrate they are not permitted during the event itself. All public areas will have an array of food and drink establishments where a selection of beverages and hot and cold food will be available. Mobile phones are allowed on the course but the organisers respectfully ask that these be kept on silent at all times. Spectators are reminded that no bags greater than 30cm in any dimension will be allowed into the course on match days. No animals are permitted on the course with the exception of guide dogs. A variety of ticket options are on offer to spectators from the official website of the Solheim Cup. Visitors to St Leon-Rot Golf Club can opt for individual day passes or purchase a full week pass that will allow them to witness every point blow-by-blow. For those travelling from abroad it is strongly advised that they seek out travel insurance for Germany from Avanti. Getting to the venue is straightforward and the organisers have issued a route planner to help spectators find their way to the course. Roxanne Seabourne is the Marketing Executive for Avanti Travelcare, who offer European travel insurance for those with pre-existing medical conditions, and are one of very few that have no upper age limit on their policies. This entry was posted in Golf and tagged Golf Blogs, Solheim Cup, Solheim Cup format, Solheim Cup travel tips, sports and leisure, sports and travel, Sports Archives, Sports Blogs, St Leon-Rot Golf Club, women’s golf. Bookmark the permalink.